The National Thoroughbred Racing Association (NTRA) announced today that Churchill Downs, home of the world’s most famous horse race, the Kentucky Derby, has earned reaccreditation from the NTRA Safety & Integrity Alliance. The legendary Louisville, Ky., racetrack opens its Spring Meet this Saturday, one week prior to the 142nd running of the $2 million Kentucky Derby Presented by Yum! Brands (G1) on May 7. Other highlights of the 38-day Spring Meet include the $1 million Longines Kentucky Oaks (G1) on May 6 and the $500,000 Stephen Foster Handicap (G1) for top older horses on June 18. 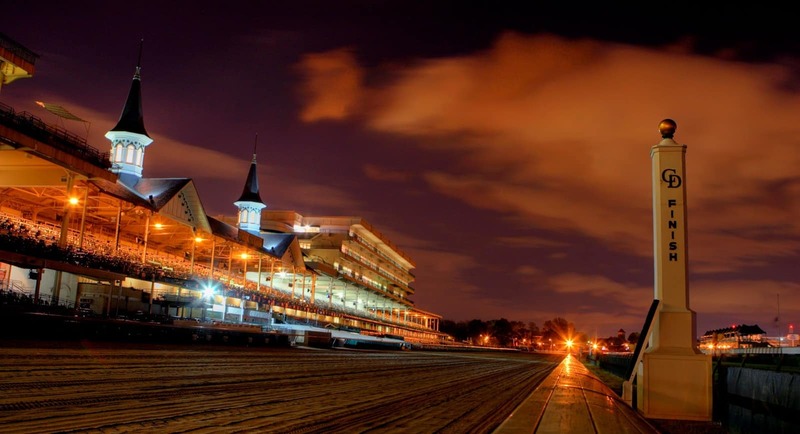 The reaccreditation of Churchill Downs was the culmination of a lengthy process that began with the track’s completion of an extensive written application and continued as the track hosted several meetings with Alliance officials. An on-site review included inspections of all facets of the racing operations. Interviews were conducted with track executives, racetrack personnel, jockeys, owners, trainers, veterinarians, stewards and regulators. The inspection team was comprised of Jim Cain, security consultant, 40 years of law enforcement experience including Chief of Enforcement with the Kentucky Horse Racing Commission; Ron Jensen, DVM, veterinary and regulatory consultant, former equine medical director for the California Horse Racing Board; Mike Kilpack, security and integrity consultant, past chairman of the Organization of Racetrack Investigators; Steve Koch, executive director of the NTRA Safety & Integrity Alliance; and Richard Lewis, racetrack operations consultant, a California Horse Racing Board Steward and former longtime California racing executive. Alliance certification standards address an extensive list of safety and integrity concerns within six broad areas: injury reporting and prevention; creating a safer racing environment; aftercare and transition of retired racehorses; uniform medication and testing; safety research; and wagering security. The flagship property of Churchill Downs Incorporated was the first racetrack to receive accreditation in 2009, the Alliance’s inaugural year. All accreditations and re-accreditations carry an effective period of two years. Churchill Downs is one of 23 racing facilities fully accredited by the Alliance that together host 94 percent of Grade 1 stakes and attract more than 70 percent of North American pari-mutuel handle. The others are Aqueduct Racetrack, Belmont Park, Canterbury Park, Del Mar Thoroughbred Club, Fair Grounds Race Course & Slots, Finger Lakes Gaming & Racetrack, Golden Gate Fields, Gulfstream Park, Gulfstream Park West, Indiana Grand, Keeneland, Kentucky Downs, Laurel Park, Los Alamitos Race Course, Monmouth Park, Pimlico Race Course, Santa Anita Park, Saratoga Race Course, Suffolk Downs, Sunland Park, Turfway Park and Woodbine.